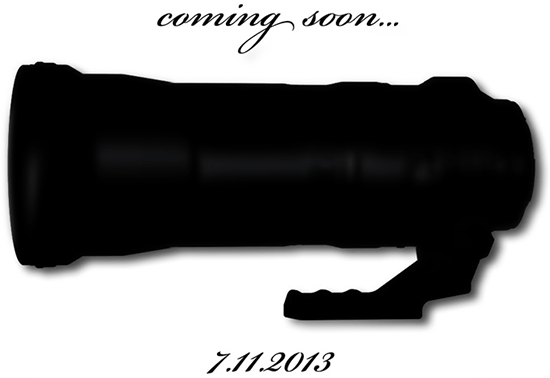 Few days ago I reported that Tamron will be announcing a new super telephoto zoom lens on November 7th. Here is the first picture of the upcoming 150-500mm f/5-6.3 VC lens that will have a completely new optical formula, wider zoom range and VC. This new lens will replace the current 200-500mm f/5-6.3 model. Tamron have already filed a patent for a 150-600mm f/5-6.3 lens. This entry was posted in Tamron and tagged SP 150-600mm F/5-6.3 Di VC USD lens. Bookmark the permalink. Trackbacks are closed, but you can post a comment.